This school, like many others, has a back door for dropping off and picking up kids from the early and late child care center. The problem was that they were forced to unlock the door in the early morning and after school, so the parents could get in, leaving the school unlocked. 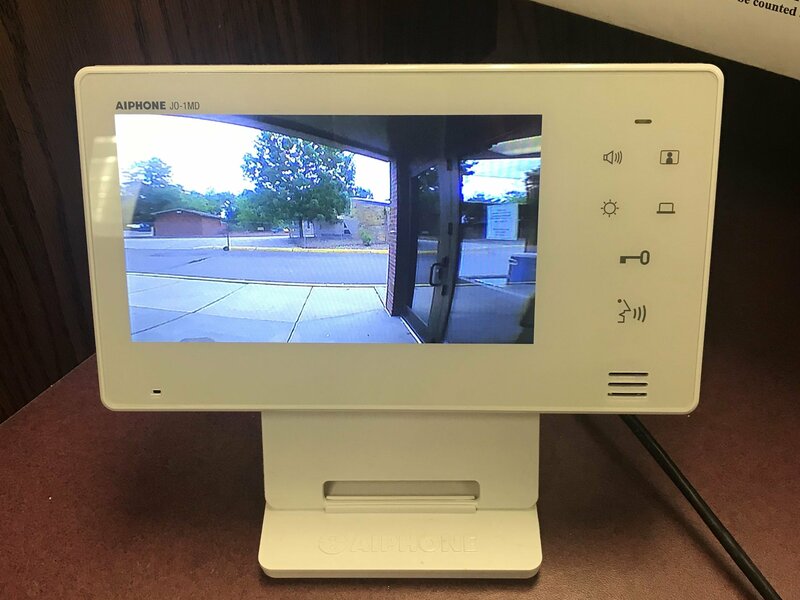 We installed an AiPhone Video Intercom System with 2-way voice and a large 7-inch color monitor. Now the school can be secure, and the parents can get buzzed in remotely to drop off and pick up their kids, adding safety and convenience for all.